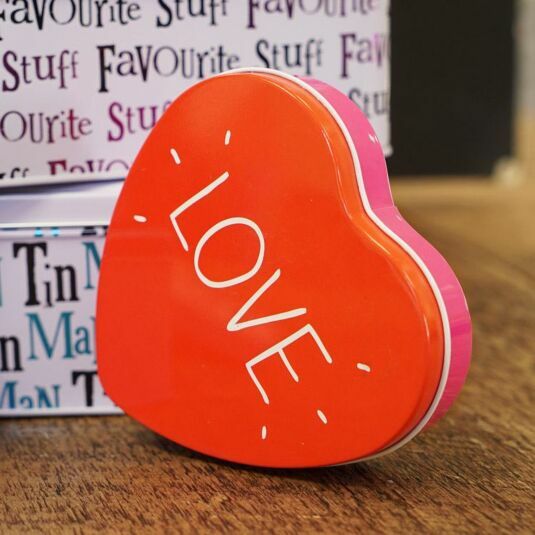 This Love tin from Happy Jackson is a wonderful way to present someone special with a little gift on a birthday, an anniversary, or any occasion you just want to share the love. 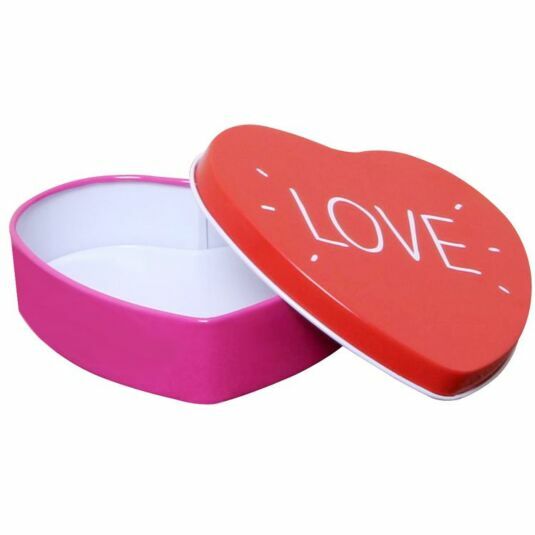 Bright and colourful, the tin features pink sides and a red lid that reads: "LOVE". You could fill the tin with jewellery, with penny sweets, or anything else you can imagine. 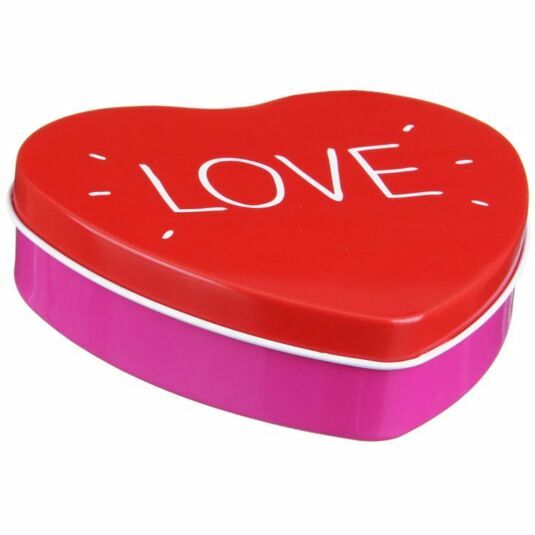 Whatever its contents, this fun heart shaped tin is certain to put a smile on someone's face.